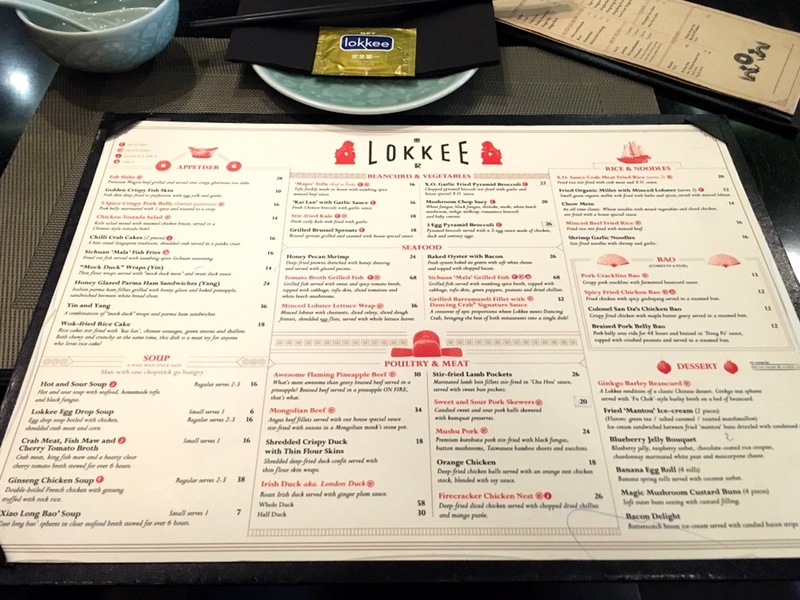 Lokkee’s menu looked interesting and as its one of Tung Lok’s establishments, we had high expectations of their food. Moreover, their menu is inspired by Chinese take out food found in Chinatowns, we thought their dishes would be good though prices were quite steep. They may be trying too hard with being innovative… When we were seated, the suggestive wet tissue placed on the serving plate looked like it did not belong on a dining table??! 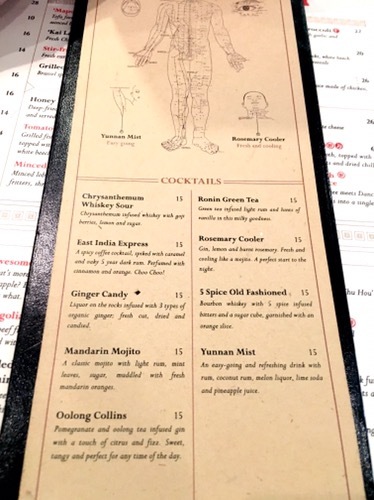 The menu and drinks which included interesting iced lemon tea flavors, whisky, beers and ‘healthy’ cocktails?? Hmm…. 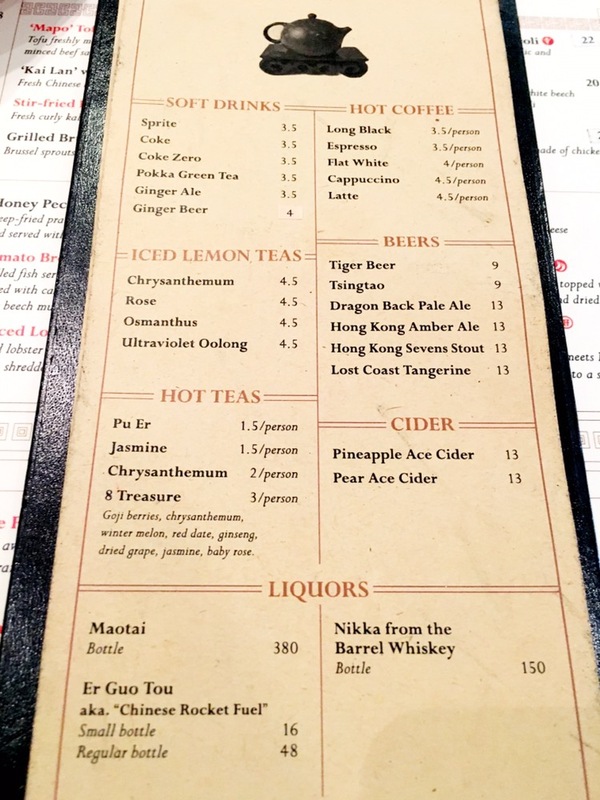 We tried their osmanthus iced lemon tea, not much osmanthus taste, lemon tea tasted like canned/ packet lemon tea and so the combination was simply ‘cough mixture’ like…. Not impressed. 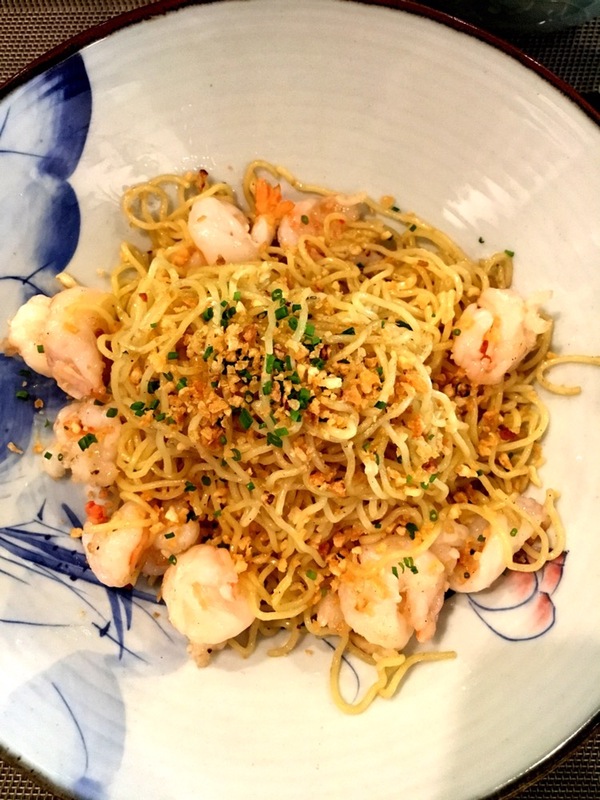 The shrimp garlic noodle was served next. Generous amount of raw and crispy garlic but not much taste otherwise… It lacked the savory aspect and was quite dry. The prawns were not too bad, at least they were fresh and nicely cooked. We understood why they place sriracha sauce on every table. Add some of it or request for some chilly padi with soy sauce to go with the noodles. The highly anticipated as well as recommended Fab Slab which was Wagyu beef grilled and served over glutinous rice slabs arrived. 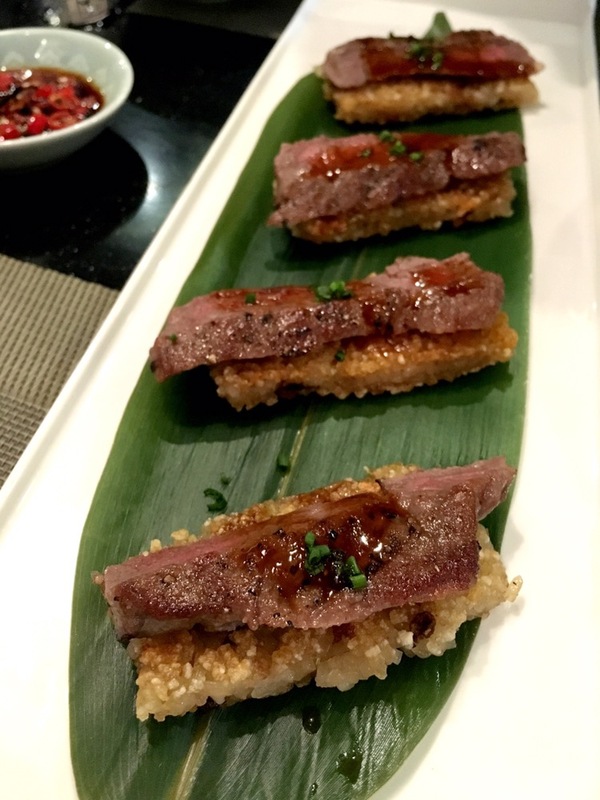 We were disappointed at the sigh of it as we were expecting it to be served as succulent beef cubes with glutinous rice at the side or perhaps something like a Wagyu don dish. However, the thinly sliced beef on toasted glutinous rice looked quite pathetic. This dish was also quite tasteless and we had to add quite abit of sriracha sauce… Seriously, we were doubting if the meat was even Wagyu?? The last dish which was Xiao long Bao (XLB) soup was served about 45min after we were seated. It was quite a long wait for a starter. 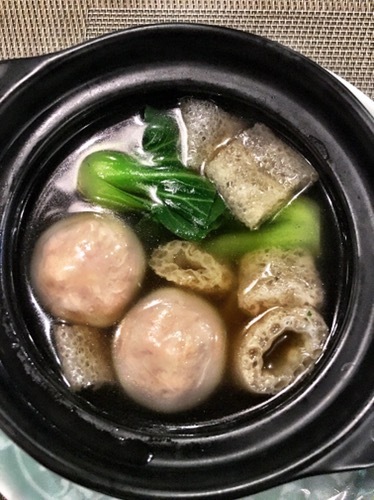 Apparently the first batch of XLB was not made successfully so they had to prepare a second batch of 2 balls for such a long time?! 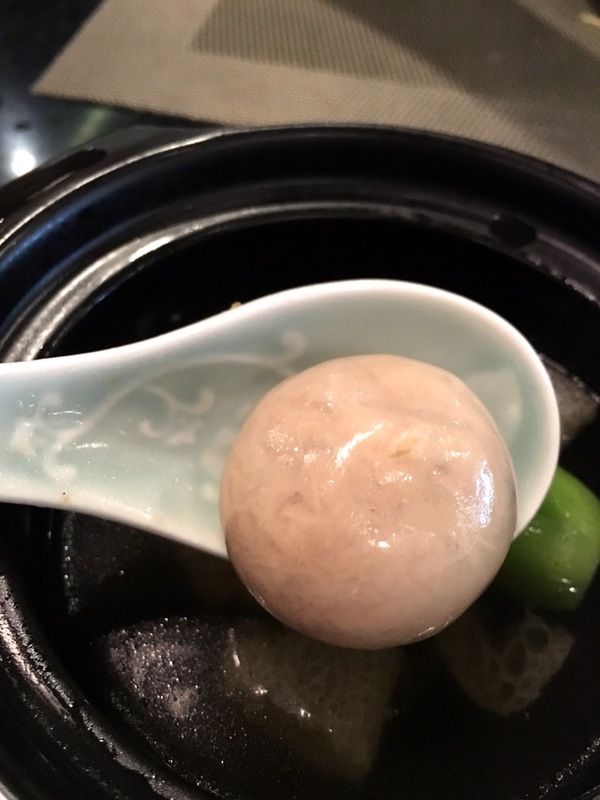 The XLBs were quite interesting as the dumpling skin was unlike the usual… It’s smooth and shiny more like a gelatinous layer. However though innovative, the filling was plain. The simple stock, vege and bamboo pith tastes better. Overall, we were very disappointed with this meal which costs about $65. We were unsure if these dishes were those found in Chinatowns?? It’s still better to visit Chinatowns for Chinese takeaways…. 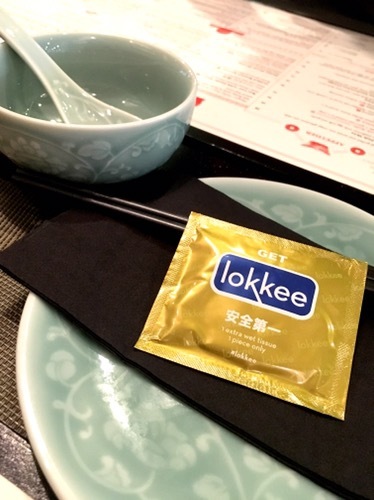 We probably would not visit Lokkee again.